Know in advance if an extra stop is needed! 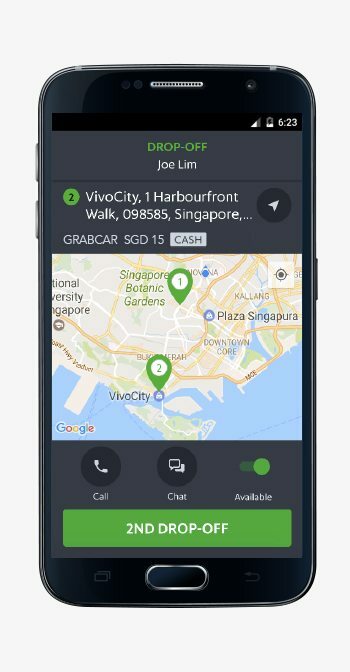 From 24 May 2017, GrabCar driver-partners will be informed in advance when an extra stop is needed for a booking. The additional distance is calculated upfront and reflected in the fixed fare when passengers make the booking, allowing for more certainty when accepting up the job. The further the additional stop, the higher the fare. 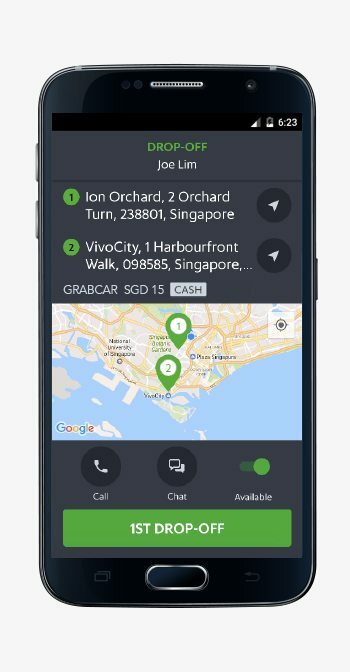 This feature is enabled for JustGrab, GrabCar, GrabFamily, GrabCar (Premium), 6-seater (Economy) and 6-seater (Premium) jobs. 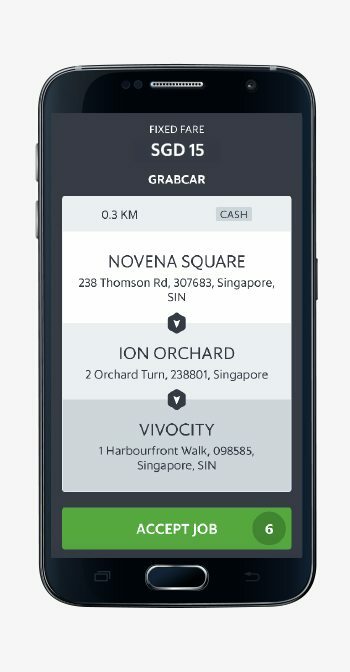 GrabCar driver-partners will be notified of both stops even before picking up the passenger. 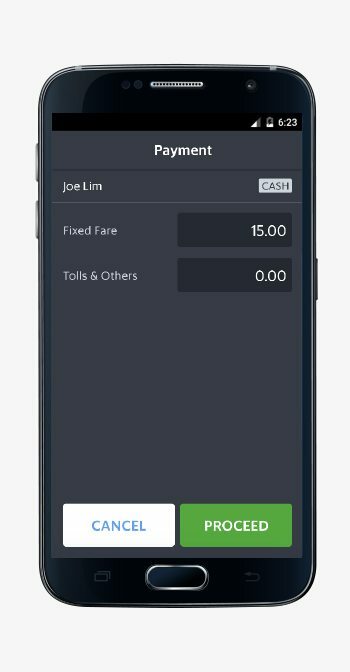 GrabCar driver-partners will not be required to input the additional stop surcharges as the displayed fare includes the cost of the extra distance travelled. This feature only works for one additional stop per ride. If passengers request for stops outside of what’s indicated in their booking, driver-partners should revert to the previous additional stop surcharge policy. Waiting time grace period and surcharges still apply. 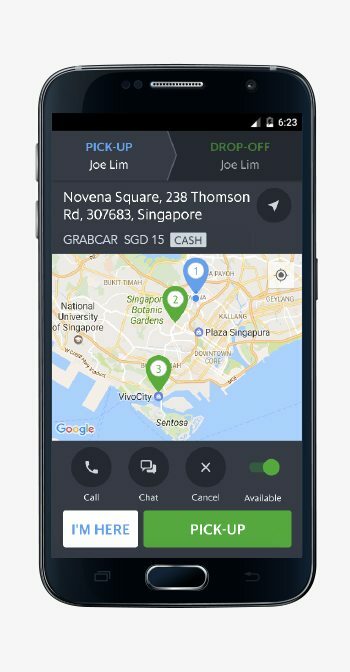 This feature does not apply for GrabShare. You will be notified on the job card when a passenger books a ride with an extra stop. After accepting the job, head to pick-up point to pick up the passenger and start the ride. Tap the ‘1st Drop-off’ button upon reaching the first stop. Tap ‘2nd Drop-off’ button at the second stop to complete the job. Upfront fare automatically includes the cost of the extra stop (based on the distance travelled). A 5-minute grace period is provided. If you are required to wait for longer than 5 minutes, the waiting time surcharges apply in 5 minute blocks. I just completed a booking with an extra stop. How many trips is it counted as? Yes, all upfront fixed fares may be subjected to surge pricing regardless of whether there is an extra stop. Please inform the passenger this is not possible as the fare is pre-determined at the point of booking based on the original order of the stops. What should I do if the passenger didn’t include the extra stop into his/her booking, but asks for an additional stop along the way? You may make the extra stop. However, any requests for additional stops made outside of the booking is subjected to the additional stop surcharges. What should I do if the passenger booked two stops, but asks for a third stop along the way? You may make the third stop. However, any requests for additional stops made outside of the booking is subjected to the additional stop surcharges.